On Friday of last week MiLB.com released the Phillies 2018 organizational All-Stars by position. Read HERE. Some picks we agree with, others we do not and one, Zach Green, is no longer in the Phillies organization. According to Baseball American, Green was a minor league free agent who signed with the San Francisco Giants. 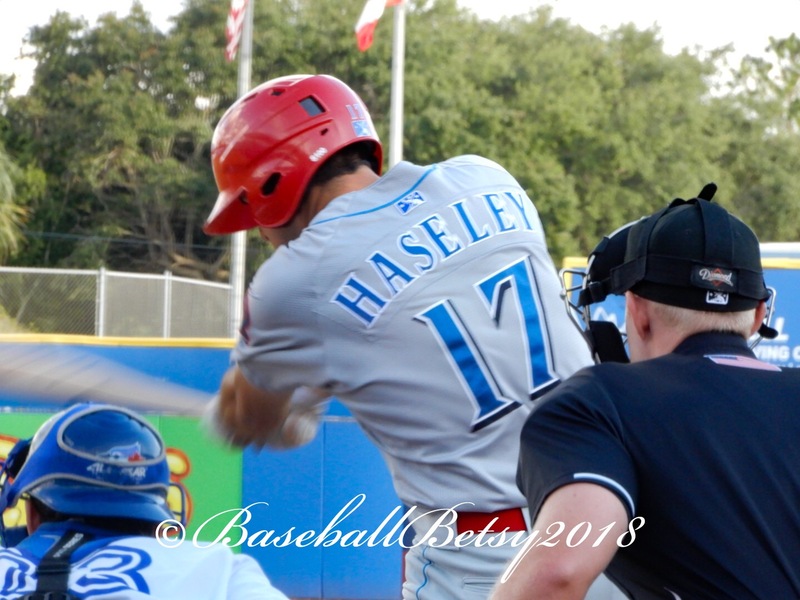 Of the 12 twelve players selected by MiLB, we agreed with them on seven including Darick Hall, 1B, Daniel Brito, 2B, Adam Haseley and Jose Pujols, OF, Austin Listi, utility, LHP David Parkinson and reliever, Addison Russ. Hall had a big season hitting with runners in scoring position with three different teams but he did not hit much with the bases empty. He hit .362 RISP/.205 bases empty with Clearwater, .304 RISP/.203 bases empty with Reading and .313 RISP/.219 bases empty in the AFL. Overall, he led the Phillies minor leaguers with 30 home runs and 99 RBIs in 146 games. Watch several of his Clearwater home runs HERE. Brito had nearly the same slash line at both Lakewood (.250/.300/.348) and Clearwater (.252/.309/.340). He will play at baseball age 21 in 2019 so he has time to improve his offensive numbers to go along with his minor league gold glove defense. He recorded a .988 fielding percentage in 116 games, the highest mark among second basemen in Minor League Baseball according to MiLB. Watch HERE. Haseley kept improving his batting average as the season went on. He started the season with Clearwater slashing .300/343/.405 and finished up with Reading slashing .316/.403/.478. He played all three outfield positions. Watch a Clearwater home run HERE. Pujols had a season to remember slashing in the FSL at .301/.364/.523. He finished second in qualifying Florida State League batting average and OPS. He was tied for first in outfield assists in the league with 11 playing in right field. He played his final 26 games with Reading finishing up with a combined 22 home runs for the season. Watch a Clearwater home run HERE. Listi is the utility selection. 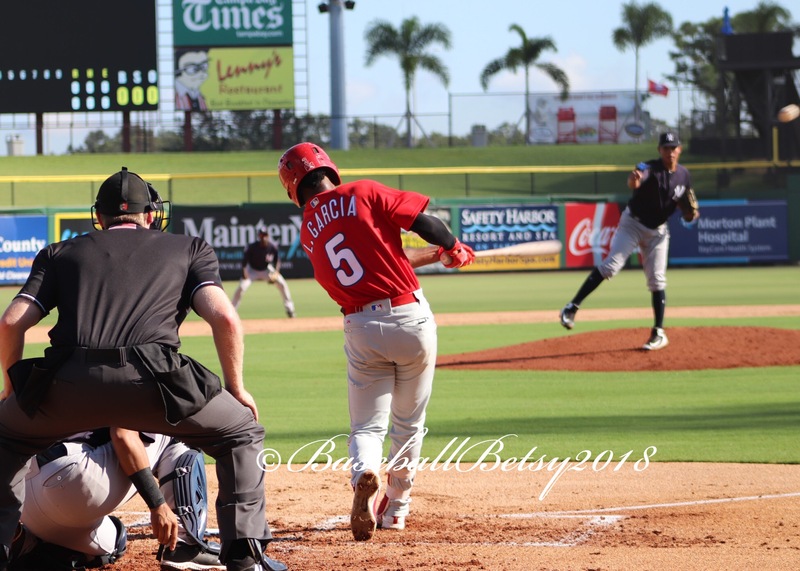 He put on a great show for us the first half of the season with the Threshers hitting .344 but fell off with Reading hitting .281 and in the Arizona Fall League hitting .250. He played all the corner infield and outfield positions and DH’d. In the AFL he played primarily in right field. Watch several of his home runs HERE. Parkinson had the fourth lowest ERA for a starter at 1.45 in minor league baseball since 2005. He was a 12th round 2017 draft pick with average fastball velocity. The major league average fastball velocity for a left-hander last season was 91.6 ERA. Still, he averaged better than a strikeout an inning last season with his outstanding curveball command. Watch HERE. Russ was outstanding with similar splits in relief for both Lakewood, 13 for 13 in saves and Clearwater, 13 for 14 in saves. He was 9-2 with a 1.68 ERA overall in the regular season.. He averaged over a strikeout an inning. 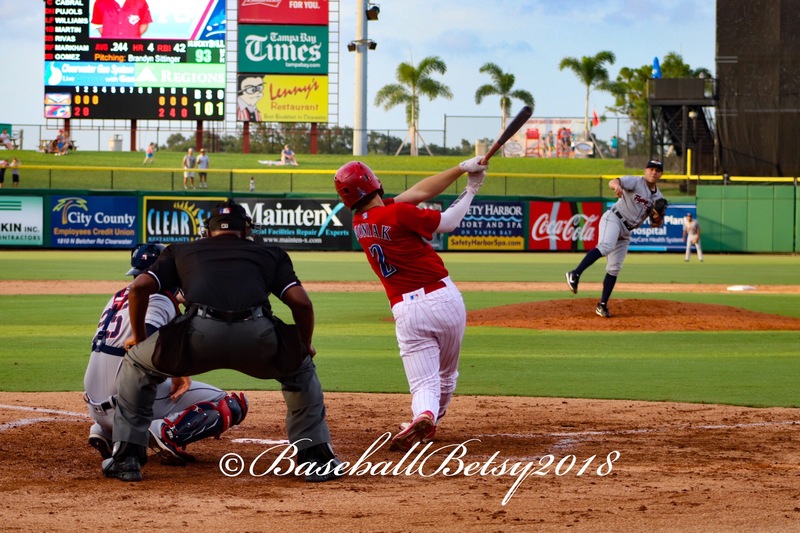 He recorded the win in the only Threshers playoff victory. Watch HERE. The outstanding left handed reliever has to be Zach Warren. For Lakewood he was 15 of 16 in save opportunities striking out 100 in 56.2 innings. He had a was 3-2, won-loss record with a 1.91 ERA. He finished strong striking out 29 with 7 saves in only 12.1 innings over his last 10 games including two of the saves in the playoffs. In the other selections where we disagree with MiLB. Rodolfo Duran is clearly the top catcher in the Phillies organization. He proved it in the six games of the SAL playoffs where he caught a nine inning, no-hitter; hit three home runs and threw out four baserunners in six attempts. He will turn only 21-years-old on February 16th. With the playoff games home runs included, he hit 21 homers on the season. With Zach Green gone, the third baseman of the future is left to first round draft pick, Alec Bohm. When we watched Bohm in Fall Instructs he showed he can hit for power. He hit a homer that landed on top of the Tike Bar roof in left in the first Instructs game but he had trouble fielding a ground ball chopper at third in a later Instructs game. Watch his home run HERE. The most impressive young player we saw at Fall Instructs was middle infielder Luis Garcia. He just turned 18-years-old on October 1st and plays like a seasoned veteran. We saw him play both at second and short. All he did earlier was lead the Gulf Coast League in batting average hitting .368. with a .921 OPS. MiLB selected Daniel Brito at second and Nick Mason at shortstop as Phillies organization All-Stars. Wherever they put Garcia, he is the All-Star. Watch HERE. In the outfield, we are selecting centerfielder Mickey Moniak. MiLB has Dylan Cozens in the outfield but his time as a top prospect is passing. He just strikes out way too much. 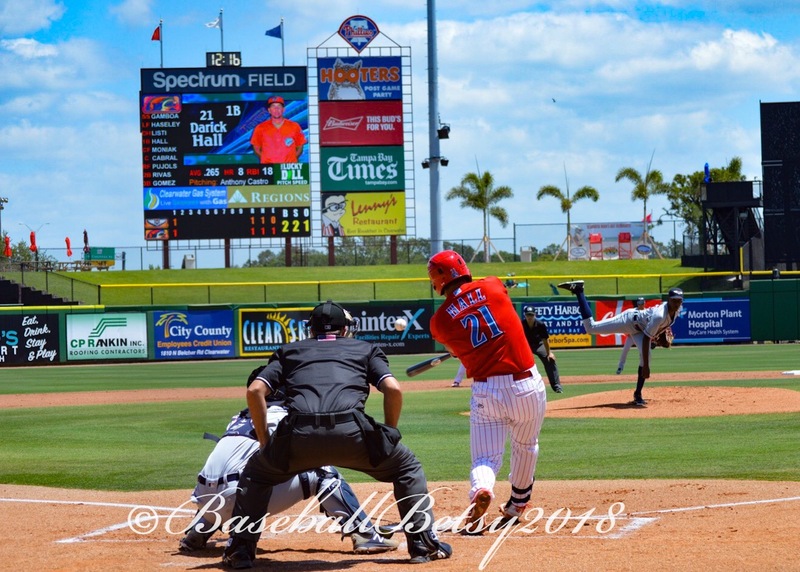 Moniak, much like Jose Pujols, had a break out season with Clearwater. In the second half of the season, he hit .286 with 17 doubles, 3 triples and 4 homers. Remember, he does not turn 21-years-old until May. 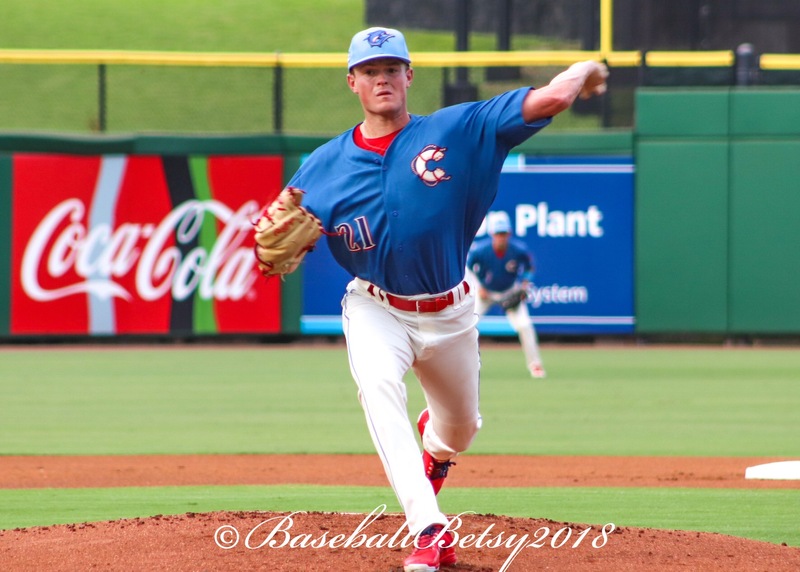 Look for a big season for Moniak likely starting out the 2019 season at Reading. Watch HERE and HERE. 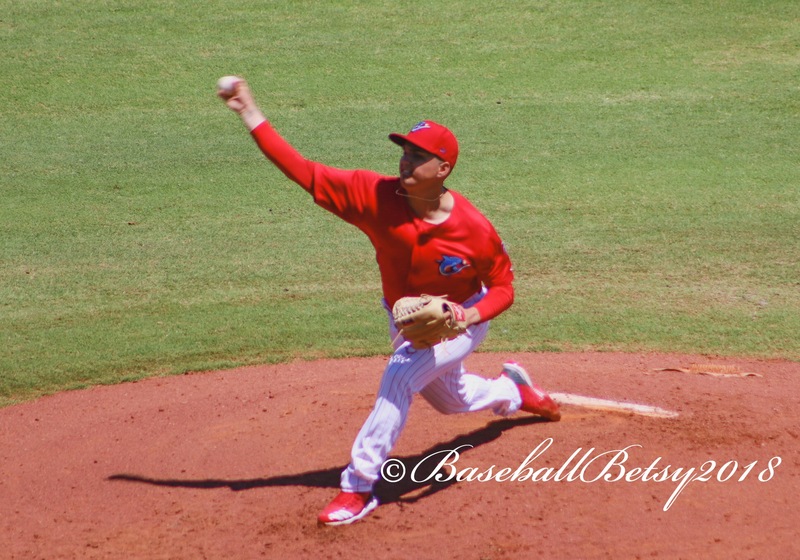 Our favorite starting pitcher in 2018 was Clearwater’s right hander Mauricio Llovera. 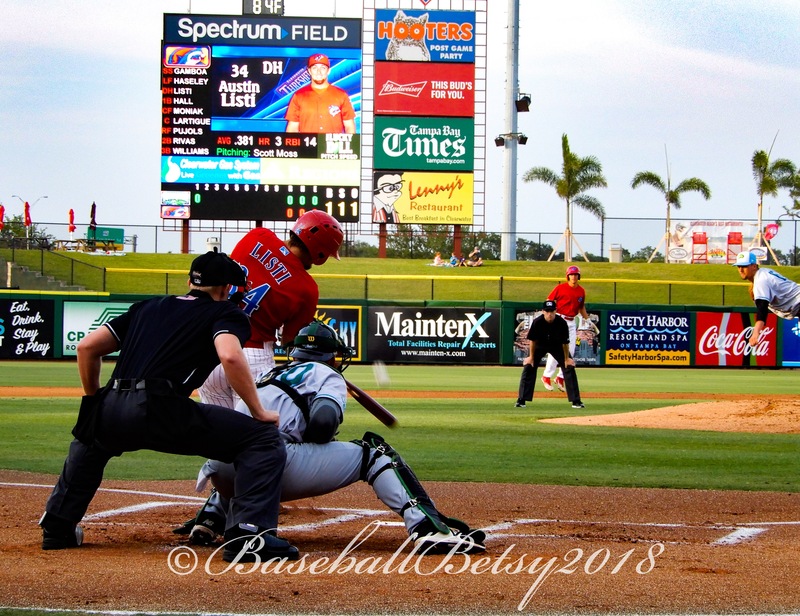 He did everything he could to get the Threshers into the post season. Over his last nine starts including a playoff start, he went 6-0 striking out 63 in 54.2 innings. In two of those starts he struck out 21 in 13.2 innings. He has good off speed stuff and threw his fastball in the mid to high 90’s. 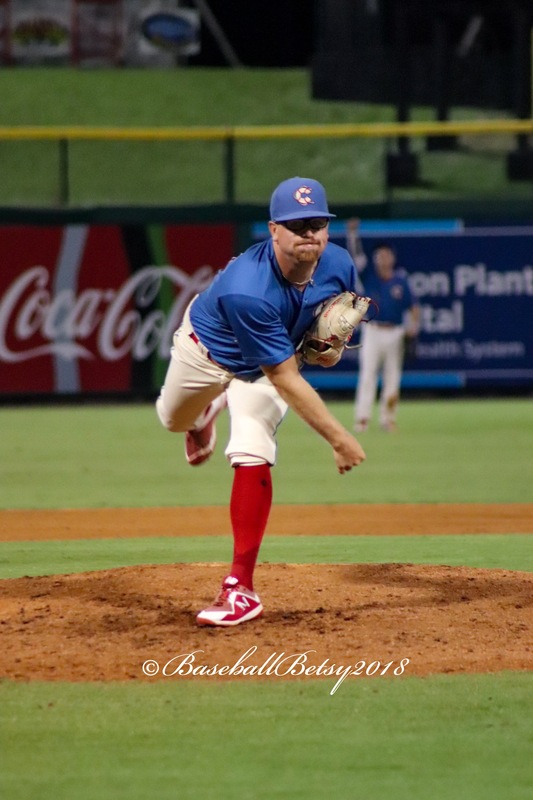 He took a one-hit shutout into the bottom of the seventh in his playoff start before giving up a home run and left the game with the lead before the Threshers bullpen imploded. Watch his double digit strikeout games, HERE and HERE. Spring training will be interesting with some of these guys getting called over to the major league camp and play in Grapefruit League games and others later attending the minor league camp. 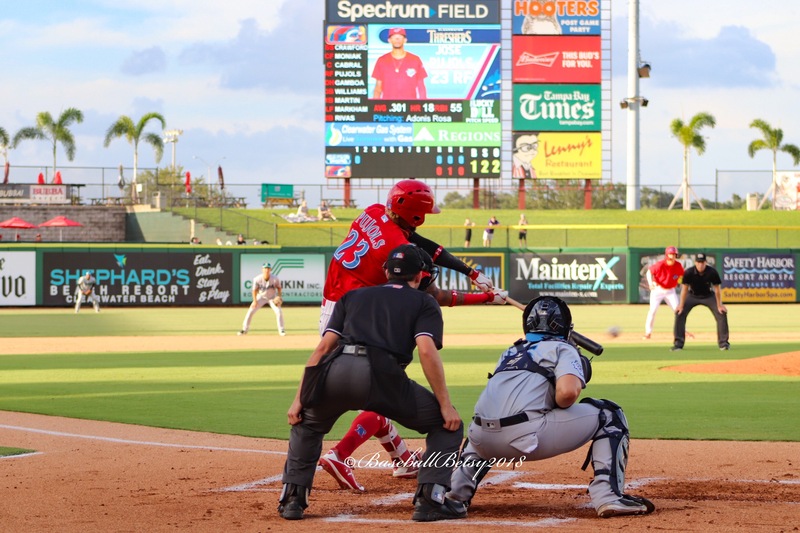 In any event, the Phillies do have talent at the minor league level to help the big league team, even at some point in 2019. 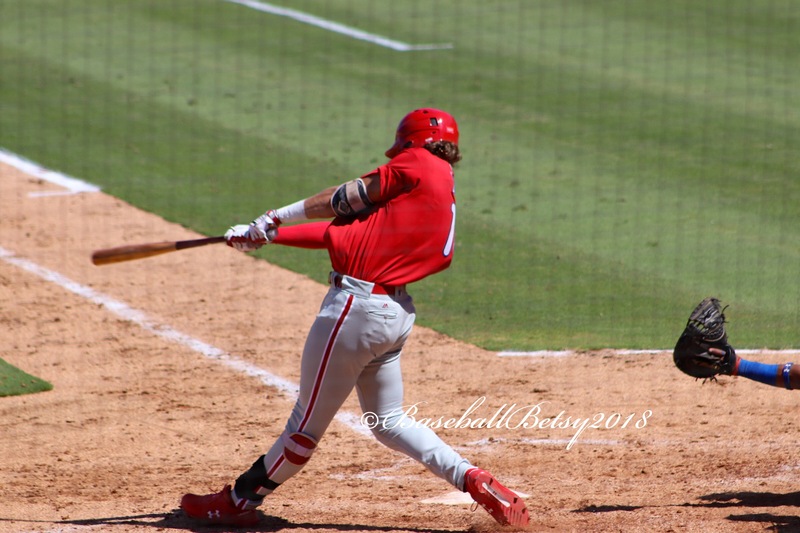 This entry was posted in 2018, December and tagged Adam Haseley, Addison Russ, Alec Bohm, Austin Listi, Baseball Betsy, Daniel Brito, Darick Hall, David Parkinson, Jose Pujols, Luis Garcia, Mauricio Llovera, Mickey Moniak, Philadelphia Philllies, Phillies MiLB Organizational All Stars, Rodolfo Duran, Zach Warren. Bookmark the permalink.